A lot has changed since 1969 when our own Kel Carruthers won the world championship on a Benelli. True, Carruthers was riding a 250cc bike, the same capacity as this BN251, but that and the badge on the tank are pretty much where the similarities end. 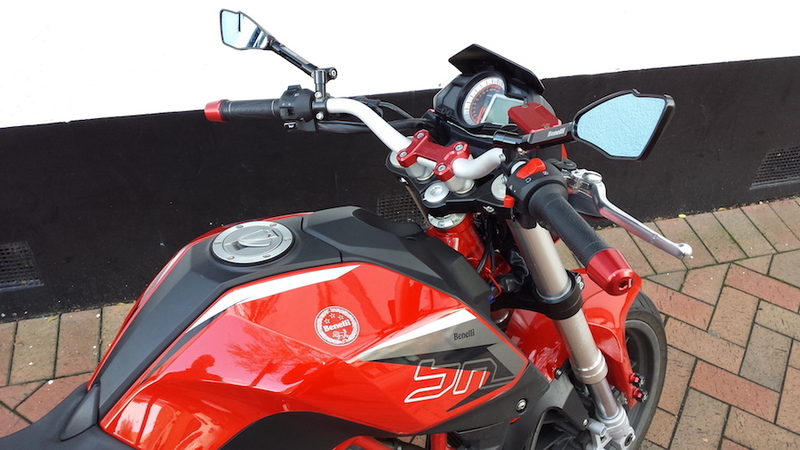 Over the past half-century Benelli has been completely reinvented, with the key change being the 2005 takeover by the Chinese motorcycle manufacturer Quianjang. Since then, new bikes have been designed in the West but built in the East, and perhaps as a consequence, the brand still seems to be defining its identity. It has one foot in China and one foot in Italy; one foot in the 20th century, and one in the 21st. The BN251 is unlikely to make things clearer. At first glance, it certainly has attention-grabbing Latin looks. When I rode it home and parked it in the garage, it passed the ‘wow’ test with both my sons. Part of the reaction was down to the red 7075 Ergal Aluminium bling that had been installed on the model we tested: front master cylinder cover, paddock stand bobbins, handlebar clamp, ’bar ends… The fact that these premium accessories have been made available for a $4990 (+ ORC) bike is again a little confusing, but we have seen Honda Groms decked out with accessories worth more than the bike itself, so maybe it’s a smart marketing move. Initially I was tempted to compare the BN251 to the Honda Grom, but when you see them side by side you realise the Benelli is no midget, with an accessible rather than an extreme 785mm seat, and a relatively normal wheelbase of 1400mm. While it’s smaller than your average nakedbike physically, the riding position is comfortable. Both myself and Motorcycle Trader’s Sean Muir (give the small bike to the office beanpoles – very funny fellas) rode it without feeling or looking awkward. The ads pose the BN251 as an urban stunter, good for burnouts, wheelies and slides. Sadly, I can’t tell you how well it does those things, but the urban part is definitely accurate. For me the standout feature of the bike is its agility, especially around tight city streets, roundabouts and intersections. And although at 810mm wide it’s not as thin as some, it’s still a competent lane filterer. The only issue I found was the accessory mirrors, which apart from offering pretty poor vision also seemed always to be at just the wrong height for getting past cars. Sometimes stock is better. The gearbox was nice and smooth, with no problems slipping it into neutral and then back into first at the lights. 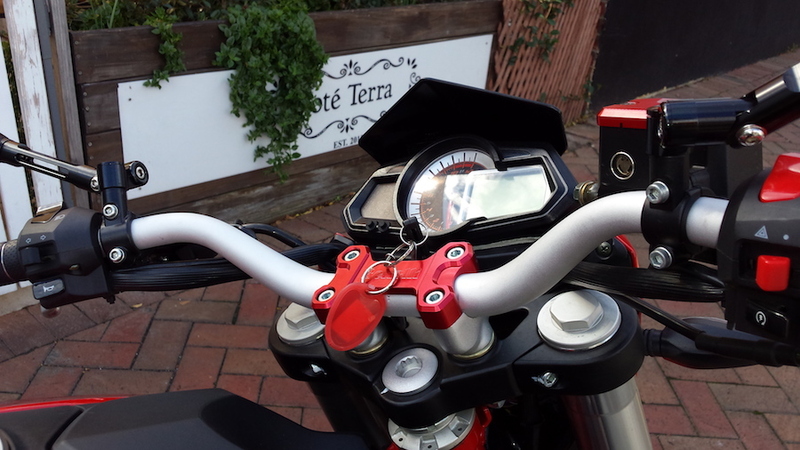 It was also easy to step up through the gears with just the slightest of pulls on the clutch lever. And this came in handy. There are six gears, but I would happily have traded the superfluous sixth for a slightly taller second. Taking off from traffic lights to gap the traffic, I regularly found myself bouncing off the rev-limiter at 63km/h in second gear. Moral of the story: keep shifting up. 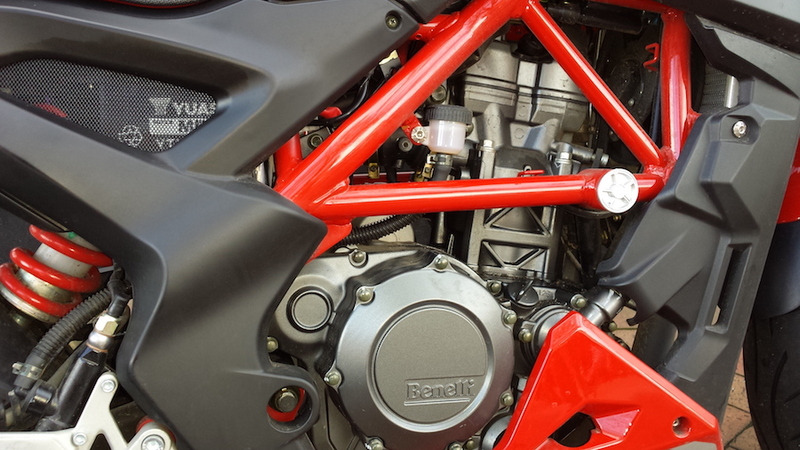 At higher speeds, you get pretty much what you’d expect from a 250cc single that produces 18.5kW and 21.5Nm. On the motorway, take care when trying to overtake – there isn’t a whole heap of poke above 80km/h. I also found that the light steering and dainty weight of the bike wasn’t entirely confidence-building when going around bends quickly. Nimble ’Nelli suddenly became a little nervous. 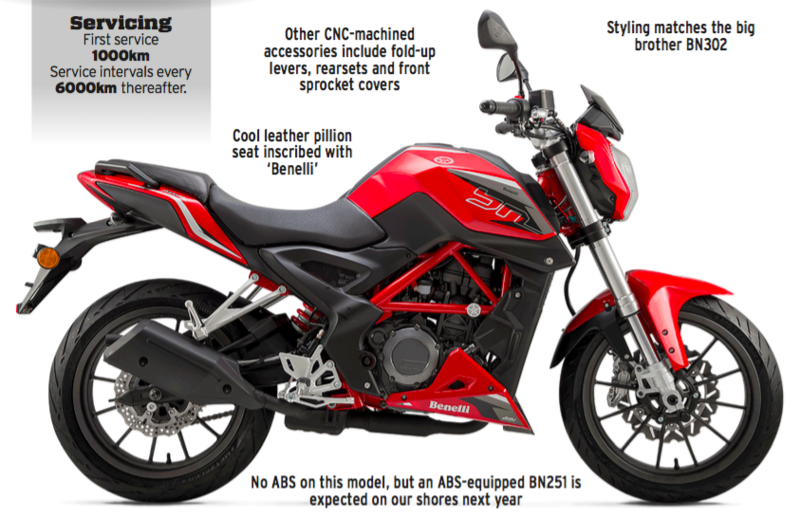 With a new wave of bikes on the way, the BN251 occupies an interesting place in Benelli’s model range. 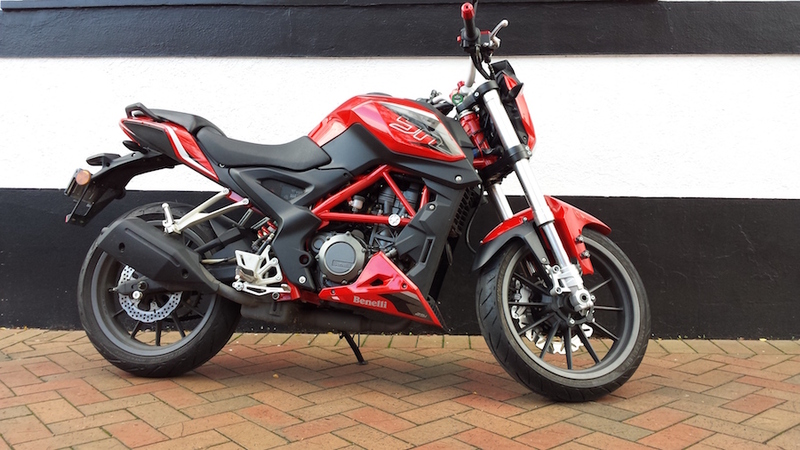 If I were looking for an exotic but economical commuter, I’d certainly be tempted by the prospect of a few more cubes and ponies on the BN302; likewise, those who are really keen on the minibike look might prefer the forthcoming TnT 125. But there will doubtless be those for whom the 251 is just right. They’ll be getting a sharp-looking nakedbike that’s great for getting around town, and maybe even for some carpark escapades, all at a very pleasing price.